I'll be sharing to you now my very first DIY (do-it-yourself) project. I've been itching to do this for months already, but it's just now that I had the time to get my hands on it. 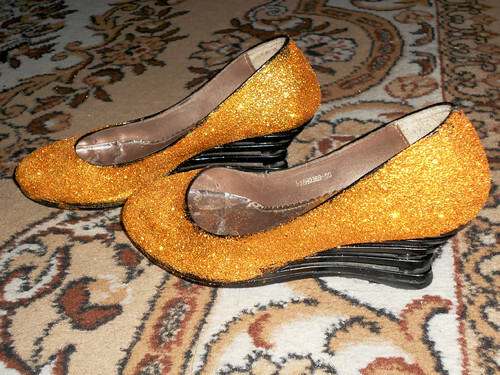 Decided to give life (and glitters) to a pair of black wedges that I've been neglecting for so long! You'll be needing newspapers, too! 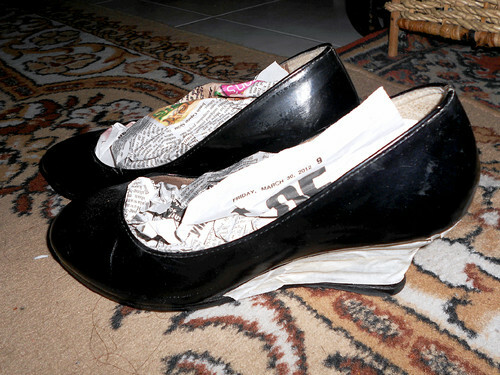 Place newspapers in the insoles to protect that area of your shoes. 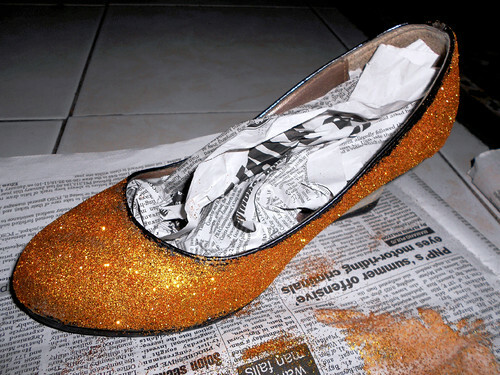 Optional: Cover the heels with masking tape to prevent unwanted glitters. 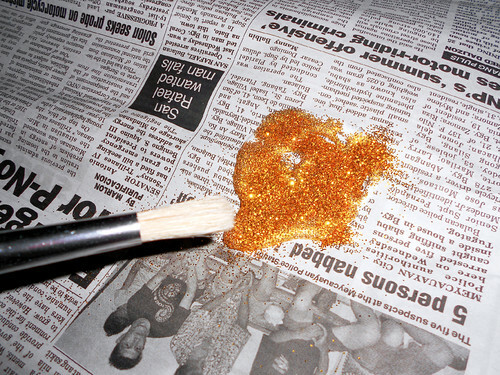 Pour some glitter and glue to a newspaper or disposable bowl. 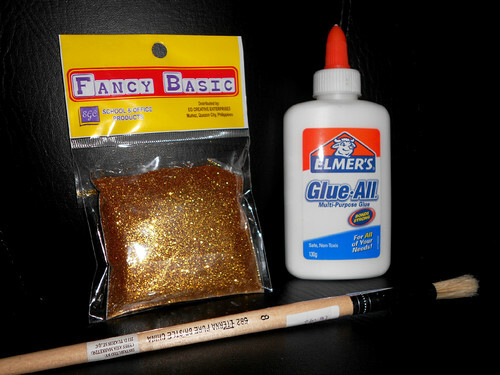 Mix them using a paint brush until you reach your aimed concentration of sparkle. 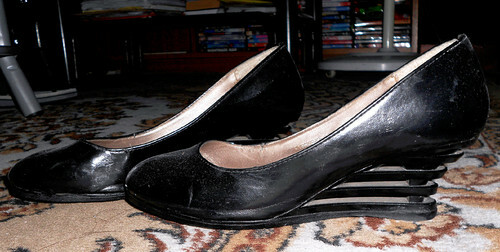 Take the mixture and evenly spread it over the entire shoe. Once you're done with the first coat, let it dry before adding up another layer, so you won't get blobs or clumpy parts. 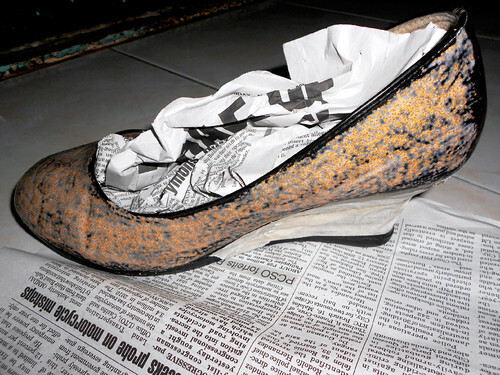 Once you've attained your desired degree of sparkle, allow your shoes to have an ample drying time. Wow. Love your DIY! Must try one soon..
Amazing DIY! Love love love!! @Gail, yay!! Glad you liked it! :) Thanks dear! 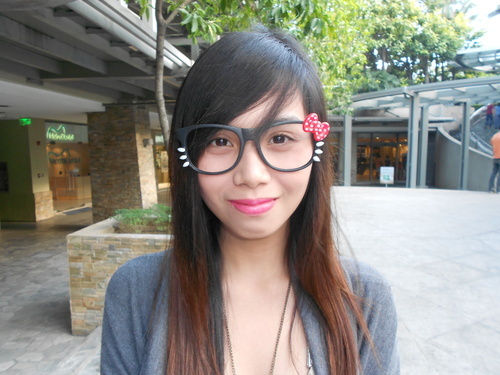 @Arra, go! :) I know you'll be able to do something like this at home. It's easyyy! :D Let me know if you've done it already, I'd love to see!